Welcome to the Couch Club, our weekly column devoted to all things #DCTV! For this season’s first installment, Ashley V. Robinson looks at The Flash’s XS. Does this daughter of Barry and Iris come from the comics? So many of us have spent time writing, ruminating and discussing Nora West-Allen and her potential effects on the future of The Flash. Now that the new season is here, I want to dive deep and look at all of the different characters that may have contributed to The Flash’s newest character as we have seen her so far! Who is Nora West-Allen? It’s a bigger question with bigger answers than simply Iris West and Barry Allen’s daughter named after Barry’s dead mother. As queried by William Shakespeare, what is a name? Let’s begin with the comic book character who first debuted in JUSTICE LEAGUE: LEGACY known as Nora Allen. I wrote a little bit about her last season when the character’s identity was confirmed on the show. This Nora Allen is the daughter of Barry Allen and Jessica Cruz, and she has a brother named Jason, along with a sister name Jenny. This Nora is classically a speedster, just like her father, with her siblings’ powers hewing closer to their mother’s. Nora does have a superhero alias, but it’s not XS or anything even remotely like that. This Nora Allen refers to herself as “Cruise” when she is conducting the speedforce. Her ties to the Nora we are presently seeing on The Flash are limited outside of their shared birth name and speedster nature. Then there’s the original XS, herself! XS is actually a Legion of Super-Heroes character who first appeared in 1994’s LEGIONNAIRES #0. 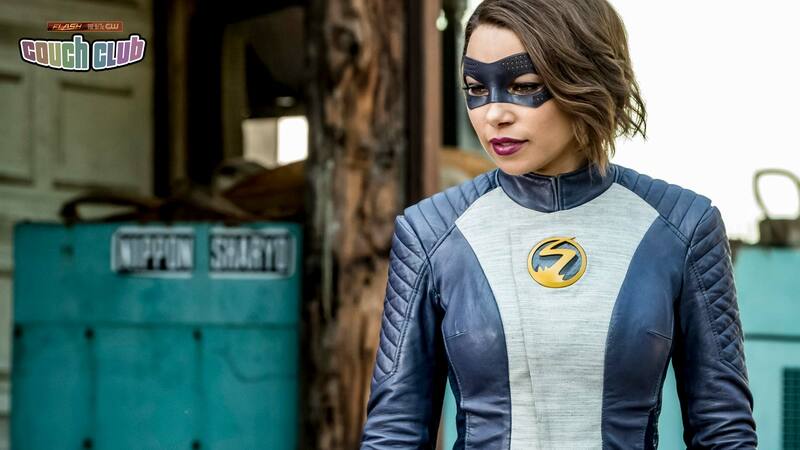 As the moniker implies, she is, indeed, a speedster and actually resembles the character that we see on The Flash a good deal in everything from hairstyle to costume. Seriously, go check out some of the Legion of Super-Heroes comic books from around this time. This XS’ name is Jenni Ognats and she is related to Barry Allen, though a little further down the family tree. Jenni is Barry and Iris’ granddaughter and the daughter of Dawn Allen (of the famous Tornado Twins). This character’s tie to the Legion of Super-Heroes seems to have bled into The Flash television show as well. There are significant implications about the future time period Nora West-Allen comes from (fun fact: “Schway!” is a Batman Beyond reference), and she seems to know other Legionnaires (she even mentioned Lightning Lad!). I know exactly what you are thinking: “But, Ashley, the Legion is wrapped up on Supergirl!” You’re right, but that doesn’t mean there isn’t a ton of potential and cool references, characters and stories to be mined from this connection that I’m hoping we’ll see more of on this season of The Flash! Fun fact: Jenni Ognats is also the first cousin of Impulse a.k.a. Bart Allen. Speaking of which, Bart Allen actually has a little bit of influence on the Nora Allen we know from the #DCTV Universe, as well. Like Jenni, Bart is the grandchild of Barry Allen. He travels back to the present timeline and ends up staying in that time for quite a while, becoming a new superhero in the process (first Impulse, later Kid Flash, and even later taking up the mantle of the Flash). While it’s still early in the season, The Flash could definitely go that route with Nora. Nora and Bart also share the trait of being mistake-makers. I really adore this quality in Bart Allen, so it’s really exciting to see it in Nora as well. Bart had room to move and grow in a manner that we’re not used to seeing from superheroes, and if Nora follows that path, this character could quickly become a fan favorite. The Flash Season 5 has barely started. Nora West-Allen has a long road to run and I, for one, am looking forward to seeing exactly who she is going to evolve into.